Gone are the days when people used to think washing others' linen was not their business. But, the scenario has changed completely; a number of start-ups are queuing up to wash others' dirty linen in public. It is believed that the laundry market is largely dominated by the offline players, who mostly cater to the premium categories. But according to a report by Tracxn, there are over 100 start-ups in this space with a funding of $6.2 million. And the size of the laundry market in India is Rs 2,20,000 crore, in which the unorganised market (dhobis, maid servants, and mom-and-pop stores) is valued at Rs 5,000 crore. Apart from the out-of-the-box idea, start-ups should target college students and bachelors. Then, the business will pick up fast as the market is very niche. “My target customer segment is educated and discerning, who seek quality, believe in reducing wastefulness and practices ethical consumerism. So, I have no choice but to cherry-pick my customers intelligently. My ideal customers would always place quality over price. They will have to be smart enough to understand that we are not a traditional laundry service provider,” she added. There are many such start-ups, who have introduced their apps to satisfy the customers in the most efficient way. The Laundry Bag, another startup, believes that there was a lot of above the line and below the line marketing involved. Plus, digital marketing was there. The company provides personalized pickup vans with its name and logo in it. People have started seeing and noticing these vans. 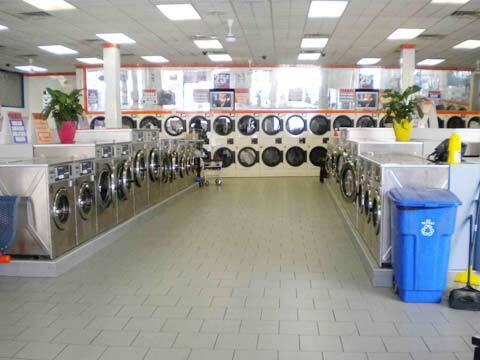 Apart from the laundry service, they also offer dry-cleaning and washing services for shoes and bags. The Laundry Bag is doing well with its on-campus Laundromat. They wanted to do something more, something new. They were aware of the Laundromat model that the foreign countries like the US have adopted. But no such service had come to India by then. This prompted them to come up with the ‘laundry-on-demand’ model. With this, they are giving people a never-before experience in terms of ease of access and quality. This was a first-of-its-kind laundry service in a smaller city like Raipur and this became their USP. Start-ups are planning to expand through franchise model. Recently, Gurgaon-based UConcepts Solutions, which owns tech-enabled laundry service provider UClean, follow a franchisee model with a few company-owned stores. UClean enables customers to wash their clothes at its nearest outlet. It is developing a tech platform, wherein customers can pre-book their slots at the nearest UClean store or schedule a pick and drop facility from their place.